Speed: Infinite Variable Speed Adjustment from 0-12 MPH. Newly improved side guardrails attach firmly to each side of the machine with hardware included to eliminate rattling. Smooth bottom lip allows paws to brush against the sides with nothing to trip on or to get caught. Precision crafted, with all edges rounded, the improved side guardrails are coated heavily with a baked on industrial chrome powder coat finish. 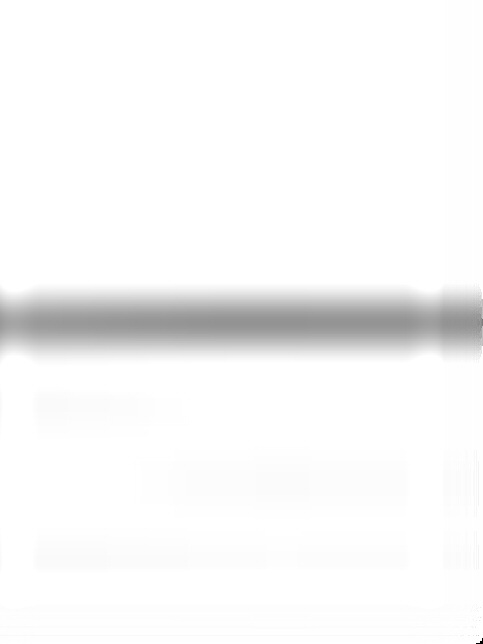 The DC6 model sports a newly improved four position quick-lift and quick-lower adjustment allowing the incline to be adjusted 0-11 degrees with ease and simplicity. Front wheels allow for easy transport and storage. Lift the lighter end of the treadmill up and the wheels will hit the ground allowing for easy transport. The front wheels also allow the machine to stand upright for storing. Hang the remote speed control on the side or put it in your lap for ideal placement if you are sitting or in a wheel chair. Smooth, quick and precise speed adjustments are only possible with our precision rheostat speed dial. Simply the best and easiest speed control adjustment mechanism available for working with dogs on a treadmill. Infinitely variable and can operate at adjustable speeds below 1/10 MPH. Allows ideal control over the running belt speed for skittish and skeptical dogs. 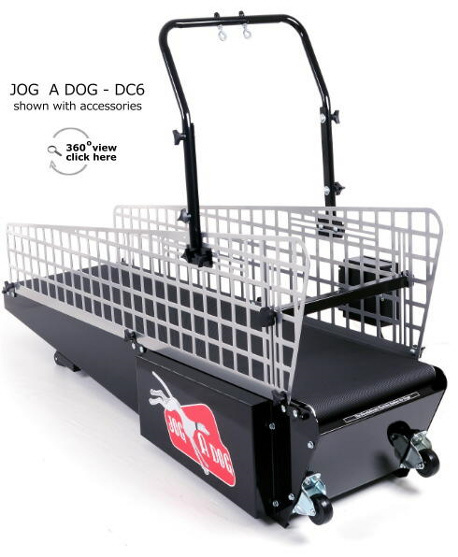 JOG A DOG models DC6 utilizes a four roller drive system to prevent belt slippage issues common with treadmills having a deck length exceeding 60". Over time friction between the running belt and the running deck increases resulting in poor, jerky performance. The JOG A DOG proprietary four roller design eliminates running belt slippage by incorporating a vulcanized rubber lagged drive roller (to grip the interior running belt surface) and three additional tension rollers to create a, serpentine type, running belt system that will not slip. The result is a direct belt driven system that delivers unparalleled performance and smooth operation required to promote and bring forth a dog's natural gait. Please read here for further information. Maintenance: Maintenance free design provides a worry free treadmill in the harshest kennel environment. Industrial components are designed to withstand continuous kennel use. Motor: Totally enclosed industrial motor delivers torque and unparalleled performance that is guaranteed not to be affected by dog hair, urine, debris, heat or humidity. Proven Performance: Made in the USA. Since 1972, we know what it takes to deliver quality that will outperform and outlast any product on the market. Limited Lifetime Warranty: Nothing we say or do would mean a thing if we didn't back it up with a Limited (original purchaser) Lifetime Warranty.